Movado – one of the oldest Swiss watch companies. This manufacture has repeatedly surprised his fans luxury models. 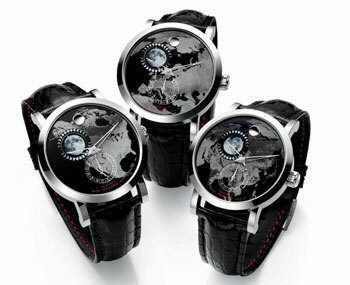 This time, the company released a new and relatively inexpensive watches Red Label Planisphere, which attract the attention of an unusual design dials.